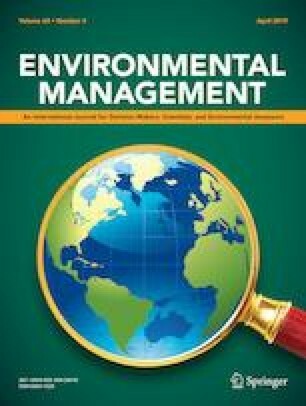 The objective of this study was to examine the feasibility of sewage sludge composting using a simple aeration method. Two consecutive composting trials (run A and run B) using Japanese sludge and woodchips (1:1, v/v) were conducted in cubic boxes (0.45 × 0.45 × 0.45 m3) made by plywood at Okayama University. Air was forced up through small holes perforated on two open-ended parallel PVC pipes (ø 16 mm, 0.25 m apart) laid at the base. The results show that compost temperatures were rapidly increased to the peak points of 47.4 °C (run A) and 74.8 °C (run B) within the first 2–3 days and varied depending on each composting run and vertical locations. The changes in physicochemical properties with particular attention to inorganic nitrogen (NH4–N, NO3–N) and free amino acid nitrogen (FAA-N) indicated that the biodegradation took place by different mineralization pathways during the composting process. The degradation of organic matter into amino acids followed by ammonification was predominant in run B, whereas the nitrification was greater in run A. A pot experiment using the two finished composts and their raw materials was carried out to study their effectiveness as fertilizer to Komatsuna (Brassica rapa var. perviridis). The total plant biomass produced by the composts was similar to chemical fertilizer. The lowering proportions of FAA-N/T-N, NH4–N/NO3–N, and C/N ratios in the composts compared to those in raw materials was found to correlate with the increase in plant biomass. The work described in this paper was funded by the Japanese Ministry of Education, Culture, Sports, Science, and Technology (MEXT). The terms of this arrangement have been reviewed and approved by the Okayama University in accordance with its policy on objectivity in research. The authors wish to express their appreciation to reviewers for their valuable comments on the manuscript.